Things keep getting worse for MoviePass, the popular subscription service that lets filmgoers catch one movie a day for less than $10 a month. Last Thursday night, the financially troubled app temporarily went down when it ran out of money to pay for all the tickets its customers were purchasing. After borrowing $6.2 million to stop the bleeding, the service came back online but it's been experiencing even more technical glitches and financial headaches in the last few days -- and its stock wound up falling below $1 yesterday. Not good, MoviePass. All weekend social media was filled with righteous complaints -- and some very funny jokes -- about the growing frustration of MoviePass subscribers. 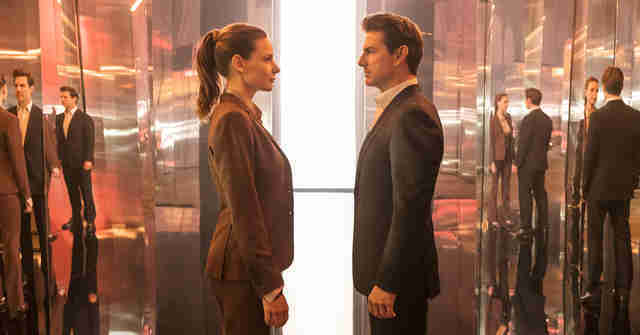 Users were particularly annoyed that they couldn't get tickets for Tom Cruise's latest stunt-filled spectacle, Mission: Impossible - Fallout. (The film's director Chris McQuarrie even weighed in on Twitter this weekend.) Combined with another service outage on Monday and confounding surge pricing policies, MoviePass has struggled to battle the rising public perception that it's in the midst of a total meltdown. Unsurprisingly, MoviePass is making some adjustments to its business plan. Last week, Business Insider reported that during an all-hands meeting the company's CEO Mitch Lowe said that upcoming films like Christopher Robin and The Meg -- a pair of highly anticipated studio movies -- will not be available to subscribers, and he "implied that the practice of not offering tickets to major movies would continue for the foreseeable future." According to a press release released at the time, the company would also change its price to $14.95 a month within the next 30 days. But that didn't stick. 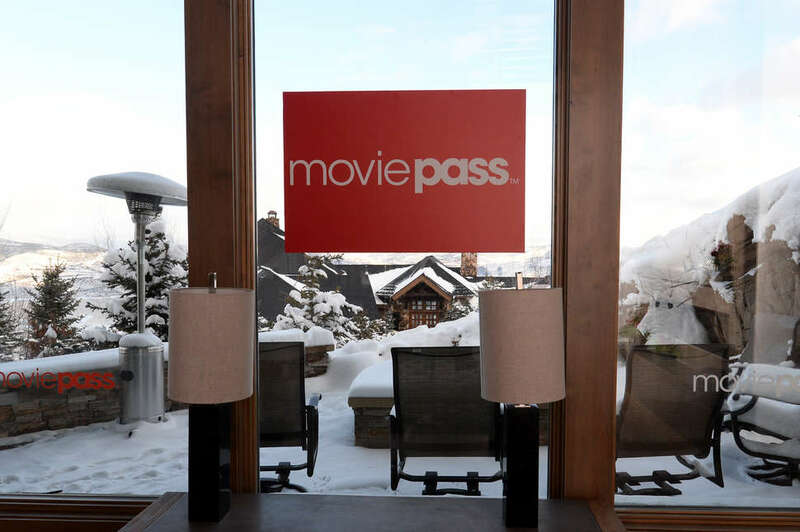 Today, the Wall Street Journal reported that the company will be canceling its popular unlimited movie-a-day policy and will replace it with a stricter plan. Beginning on August 15, the price will remain $10 but users will only be able to see three movies a month. The restrictions on wide release movies will not be a part of this new plan, which is being implemented to help the company cut costs and stay in business. This new change is a far cry from the moviegoing utopia promised by the MoviePass deal of the last few months. In the past year, particularly as the price on the service dropped as low as $6.95 per month, its users have grown used to seeing blockbusters like Avengers: Infinity War, Incredibles II, and Jurassic World: Fallen Kingdom on the big screen with the app. This de-emphasis on unlimited movies is a surprise from an organization that, until very recently, was content with burning through money at an alarming rate. A new version of MoviePass that only allows three movies a month might have more mainstream appeal, but it makes it less useful to moviegoers who want to see over a dozen films a month. It's worth remembering that MoviePass's ambition was to "disrupt" the traditional movie business. They're not looking to become a niche subscription service like FilmStruck or Mubi. They want to be Netflix. "When we launched Netflix, Blockbuster said, 'This is a ridiculous idea. You’re going to create confusion in the market. You’re never going to make it,'" said Lowe (who, reminder, was a Netflix co-founder) in an interview with Vulture earlier this year. "The incumbent player -- the largest entity in any space -- spends more time protecting their business as opposed to listening to their customer. It’s the nature of the beast." That's the most challenging part of talking about MoviePass at this point: Even if the service becomes extinct or takes a different form, it succeeded in creating new expectations for consumers about their moviegoing experience and how they pay for it. Sure, maybe MoviePass wasn't financially sustainable at its super-low rate. But someone should be able to make the subscription model, which has become so prevalent in other areas of entertainment like music and television, work. Who are the likely candidates to fill the MoviePass void? The movie chains are (slowly) adjusting: AMC Theaters, one of MoviePass's public sparring partners over the past year, has introduced its own $20 subscription plan and the more boutique Alamo Drafthouse has also announced a subscription service. Is the logical next step, as an article in The Outline suggests, a nationalized MoviePass? We're certainly open to the idea. One thing feels certain: The MoviePass of June 2018 is gone and won't be coming back. As John Gotti, the patron saint of MoviePass, said in the movie Gotti: "We rise together. We fall together."